Therea��s something very likeable about Scotland. Ita��s the only country to have the unicorn as its national animal. Thata��s todaya��s equivalent of having Hobbes of Calvin & Hobbes as the patriotic mascot. Another fascinating aspect is that ita��s got the highest proportion of red headsa��one in seven people. To use an Economist turn of phrase, Scotland is indeed a nation of a�?well-reda�� people. The most charming aspect, however, is the kilts that Scottish men wear with total nonchalance. It was first tailored in the 1720s by a businessman named Thomas Rawlinson, to ensure ease of work during logging, charcoal manufacture and iron smelting. To cut the short story shorter, the kilt was an ergonomic innovation created to a�?skirta�� cumbersome issues. Scottish surnames is one more domain thata��s intriguing. Since Scotland happens to be a patronymic society, people there have a marked tendency to christen their child after the father. Which is why Davida��s boy is Davidson, Arthura��s descendant is MacArthur, and an offspring of Ralph is Rowling. Likewise, Alexandera��s daughter is called Alexdaughter, and the Mac prefix for women is Nic. So, if McDonald is the son of Donald, the daughter would be named NcDonald. 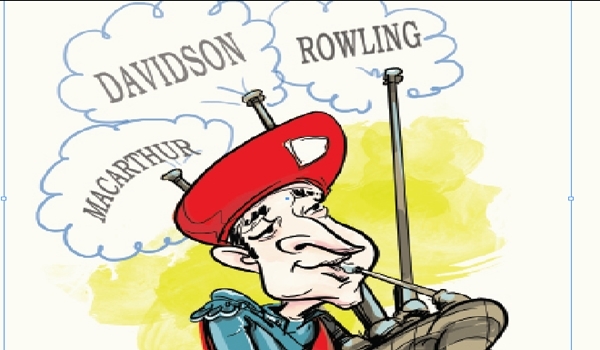 Analysis of some famous surnames would give you a better picture of Scottish nomenclature. In many cases, occupation of the forefather cast a long shadow on name selection. For example, Webster would mean a weaver; Baxter would allude to a baker; Dempster would be a judge; Gillespie, the servant of a bishop; Fletcher, someone who makes and sells arrows; Ruskin, a tanner; Jardine, a gardener; Miller, Hunter and Smith are fairly self-explanatory. Racial origin mattered sometimes, too. Fleming means someone with roots in the Flemish region of Belgium. Galbraith is indicative of people who lived in Scotland before the arrival of the Gaels. Scott would mean true-blue Scots, and French cued folks from France. Places of ancestral settlement often gave rise to surnames. To illustrate the point, those who were near the mouth of River Crombie were the Abercrombies. And those near the River Roe were the Monroes. Once in a while, nicknames masqueraded as the cognomen. Reid (red hair), Bain (white hair), Bowie (yellow hair), Campbell (crooked mouth), and Milligan (bald) are eloquent cases in point. Before we go Scot-free, leta��s end our excursion to the highlands by understanding the etymology of Scotland. It seems Scotia was the Roman name of Ireland. And when a bunch of a�?Scotia�� or Irish renegades dropped anchor, the land echoed with the drone of a 100 pipers.